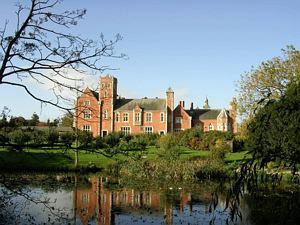 I just returned from three nights at Thicket Priory, near York. 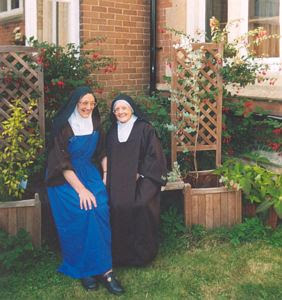 It houses a community of Carmelite nuns. It is built on the site of a 12th century Cistercian Monastery (of nuns) which was destroyed during the Reformation. The present house belonged to Lord and Lady Dunnington-Jefferson who generously sold the house to the sisters, taking only the proceeds from the sale of the Exmouth Carmel where the community was originally established. Since I have been visiting (on and off for over twenty years! ), the community has become smaller. 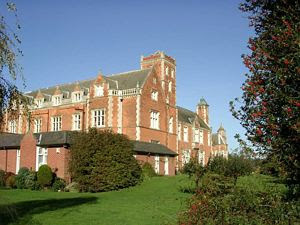 The house, which is big enough for an old-fashioned private school, is too big for the sisters - and quite cold! Now they are to move to a purpose built convent with ecological features such as geo-heating and a certain kind of seed plant on the roof which both insulates the building and releases ecological gasses into the air (I can't quite remember the details). I have usually stayed in the lovely cottage in the grounds, though sometimes I have been billeted in the rooms annexed to the convent. In the cottage we fend for ourselves (though the sisters have always stocked up the larder!). In the annex I was fed by the sisters - I should say, overfed! I love this place, and this community. There is a wonderful sense of humour in the place as well as the inevitable peace that comes from entering a place of prayer. I hope they continue to provide a suitable spot for pilgrims like myself.